Is your head spinning trying to think of ways to create content? To appropriately use your keywords for SEO success? You’re not alone. It’s a lot to handle, especially if you’re a small operation. But don’t panic. There are ways to use your keywords as well as deliver content to your customers that match your brand. It’s called content creation and this article will look at two popular types, blog vs vlog. Don’t know the difference or want to know which is better for you? What is Blogging and Why Do It? When you write a blog, it has two main purposes. The one that you know about as a business owner is SEO-related, most likely. If you have any experience with Google AdWords, you know that there are certain keywords your site needs to be targeting. But Google will ding you if they think you’re overusing those keywords on your regular site just to get traffic. Have you ever looked at something on eBay or Wish where the title is a nonsensical grouping of keywords? Something like Womens Blouse Shirt Girls Top White Color Basic Tee? That’s not a good usage of keywords. Especially if you describe every top that way. So instead of doing what we call keyword “stuffing”, people write blogs. Blogs give us a more natural way to use keywords and provide value to customers. Google LOVES when sites provide value to customers. For example, if you sold women’s blouses, you could write a post titled “How to find the perfect fitting Women’s Blouse”. Now you can use the keyword Women’s Blouse without stuffing it into your product description. And you’ll get traffic from people who didn’t necessarily know about your site before. That’s the beauty of blogging. When you write blogs, you automatically have something you can post about on Facebook. You won’t have to spend hours thinking of the perfect post and finding the right graphics. You can simply format the blog image for whatever platform and post about your new blog. Plenty of businesses use these as regular posts on their Facebook pages or other mediums. You can even place ads or a click funnel on your blog page and set up some PPC marketing to help you get some organic traffic. What Is Vlogging and Why Do It? Now that you know about blogging, let’s talk about its more advanced cousin, vlogging. Vlog is an abbreviation for a video blog. It started out as more of an online diary trend before the content creators got a hold of it. In the early 2000s, teens and celebrities alike used video to show their followers (even if they didn’t have many) a day in the life. Some content creators and YouTube stars have a Vlog channel separate from their normal video channel. Even though when they create content videos, they’re really creating vlogs. The distinction is personal. They may see vlogging as a more casual concept than creating a video optimized for likes and views. But it doesn’t have to be separate. More and more businesses are using vlogs to better explain concepts and products. Imagine your 56-year-old father getting a voice assistant for the first time. He’d be confused, right? Well, there are plenty of video tutorials (vlogs) that walk people through how to set Alexa up and what she can do. Those videos make the company that posted it money, by allowing manufacturers to play an add before the video starts. That’s called YouTube monetization. There are a different set of reasons someone blogs vs vlogs. Both use keywords, though vloggers have to get more creative with them. Vlogs are useful for SEO too, video is a big trend right now. However – vlogs are better for storytelling than blogs are. Imagine how boring it would be reading about the details of a legal case. You’d have to read through the establishments of the case details and character descriptions before you even start learning about the case. With a vlog, you can form the details into a cohesive story. Add graphics and even have the real person or attorney come on the video. It’s a lot easier to pay attention to someone telling you a story than it is to read through something with legal jargon. This is especially important if your business targets younger customers. Our attention spans are becoming shorter and shorter. If you can’t hook them in the first paragraph of your blog, you’re out of luck. It’s easier to hook someone with a video because it has two kinds of sensory stimulation. Blogs are more controlled and precise than vlogs. Vlogs technically don’t have any rules (but there are guidelines you should follow for SEO purposes). However it really comes down to your brand, audience, and the type of post you’re creating. Older people are used to reading stories, so if your target audience is older, blogs are probably better. You also have to keep your brand in mind. If you’re a college writing center, for example – you should write blogs. Show off what you’re good at. Finally, if you’re going to use blogs, you need a good writer. They need to balance being relatable with being knowledgable. This is a delicate line to walk, which is why most people hire professional content writers. Vlogs have different requirements. You need more equipment to film a blog than you do to write an article. You need lighting, a script (and a writer) along with someone who is confident on camera. In the end, most people use a mix of a blog vs vlog content strategy. Some subjects, like stories, lend themselves better to a video. While others like instructions lend themselves to the written word. When you’re deciding what kind of post you want to create, think about which medium makes more sense. As long as you keep the content, your brand, and your audience in mind, you’ll make the right choice. Know what you want but don’t feel like you can walk the delicate line it takes to write it? 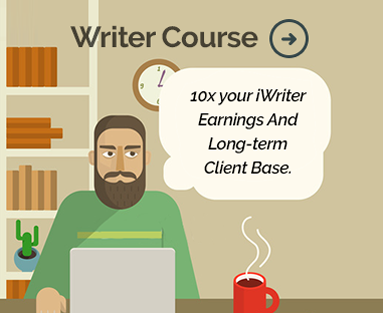 Find excellent content writers here.